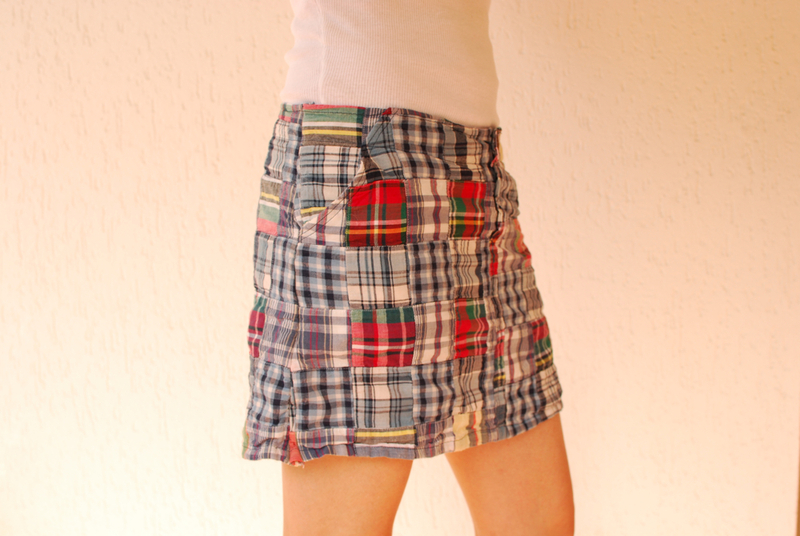 Just a simple madras skirt, made from “cheater cloth”. I made the pattern by copying my favorite jean skirt. The back has 2 darts, the pockets are made in the same way as the milkmaid skirt, and I had a little help constructing the button fly placket from Wendy Mullin’s book Sew U . 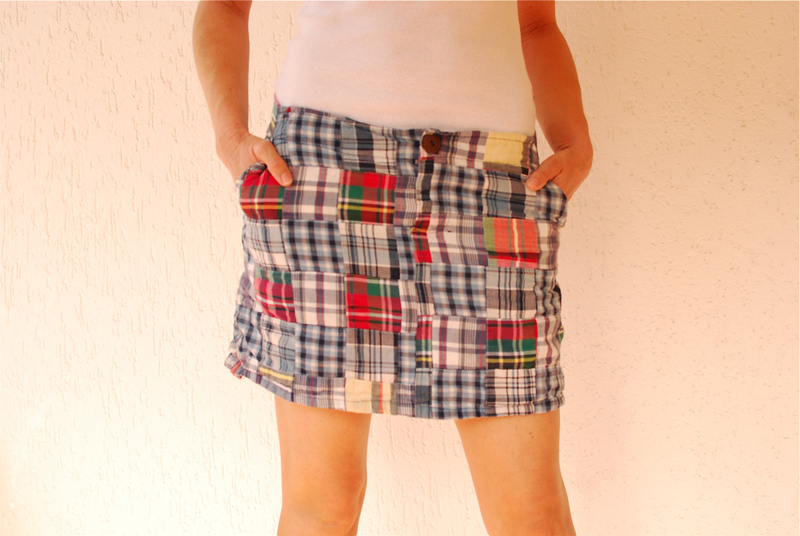 If it looks a little ragged, it’s because I made it over a year ago and I live in this skirt during the summer months. Again, it matches many different colored tops (are you noticing a theme in my wardrobe? ), so I can quickly grab one from the closet, add a pair of flip flops, and I’m good to go. Love that! « Skirt Week: Best Straight Skirt! If you were truly late-blooming with this one you’d have it with ankle socks and bright white Reebok running-shoes, haha. Very cute–love all the colors! super cute. and funny because I have a ripstop skirt on my list of to-dos becuase of one I totally fell in love with and never bought in college, over a decade ago. Anything looks cute on a super skinny 12 year old boy body. : ) btw, at first I thought your belly was reeeeaaaallllyyy pale, then realized you were wearing a shirt. Can’t wait for tomorrow!